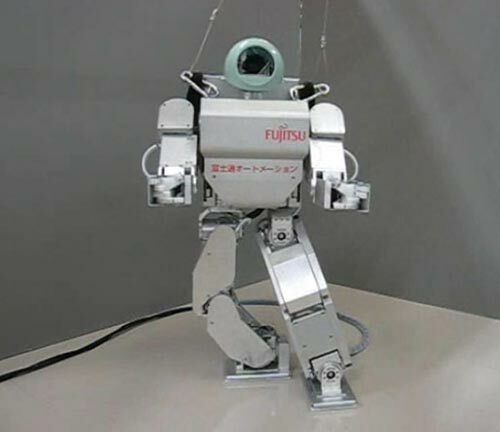 Video [WMV] provided to DWT by Tokyo-based scientist Masanao Koeda of Ritsumeikan University shows a 50cm-tall robot that can turn through 90 degrees by a process of shuffling its feet while staying in one spot. Although it sounds insignificant, it has major implications for the tasks future machines will be able to perform. The Koeda shuffle allows a robot to keep both feet in contact with the floor at all times, which makes balancing easier and allows it to carry a load in its arms. On the other hand, robots that lift their feet and make steps to turn have to balance on alternate legs in rapid succession - a much harder task that rules out carrying anything. The next step - as it were - for Koeda is to add the abilities to turn on slopes and on rough surfaces, which should soon allow his machine to escape the lab and do some work in the real world. Sponsored links: If need some guidance for 640-461 dumps & pmi certification exams then get the latest crm certification dumps compiled by our certified experts to help you pass pmp exam in first attempt of 312-50.